I’m running way behind on a lot of things, and have not had the chance to check out the new Reunion 11, but it’s out, and it’s a massive update. Along with Reunion 11, there is a new mobile/iOS app, ReunionTouch that takes the manual work out of carrying your Reunion genealogy data with you, by moving to using DropBox as its cloud storage solution. I had hoped that Reunion would gain iCloud support, but Reunion is not available through the Mac App Store, and it is most likely easier to use DropBox. ReunionTouch requires iOS 5.1.1 or later, works with iPhones, iPads, and iPod Touch, and is optimized for iPhone 5 and above. You can download a demo version of Reunion 11 here. I’ll be talking a lot more about Reunion 11 (and ReunionTouch) in the next few days, but for now, here are some of the major updates for Reunion 11 (for more information, see the download link above). 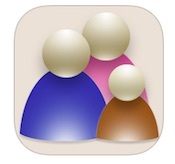 – Better syncing with Reunion’s mobile app, ReunionTouch, that involves DropBox and is automated. – Improved interface/visual clues in the marriage fields of the family view. – Relationships are handled better/automatically as you change/add/link/unlink people. – New “Islands” Sidebar that list people/families who are not linked to others. – Thumbnails View for images present within your data. – PDF Book Creator – works automatically. – Use built-in cameras in your devices to take photos. And many more changes I’ll be talking about in the near future. For now, head here to download a demo/upgrade, etc. Upgrading will cost $49.95.